Want to quickly see how the open-source software osCommerce works? You'll find a free and updated demo installation of osCommerce here. OsCommerce is a free open source ecommerce and online store management program built using PHP as a programming language and a MySQL database. Its initial development started in March 2000 in Germany when Herald Ponce de Leon, its founder, began working on the software as a side project. One year later a team formed around the project, and after five releases of The Exchanged Project, as it was previously named, on February 17, 2003, OsCommerce 2.2 Milestone 1 was released. By August 2008, OsCommerce had already reached 14.000 installations, without taking into consideration the inclusion of OsCommerce in hosting panel application installers such as Fantastico and Softaculous. 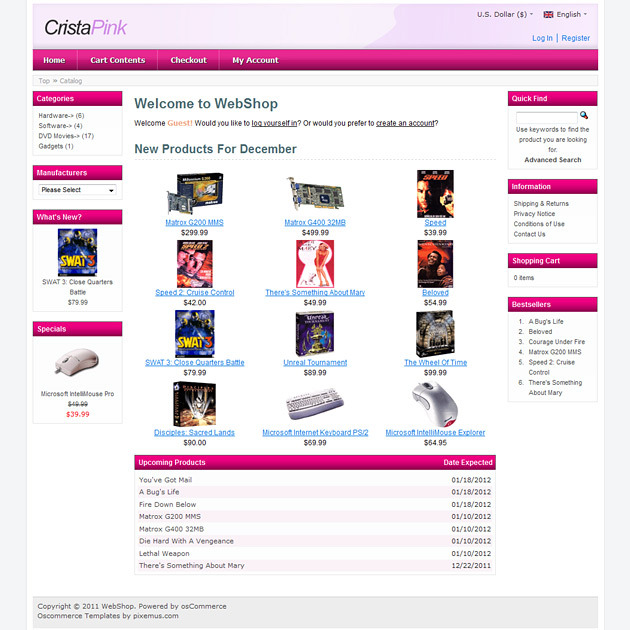 The version released in November 2010 brought new OsCommerce features like tableless web design and a number of social networking tools. 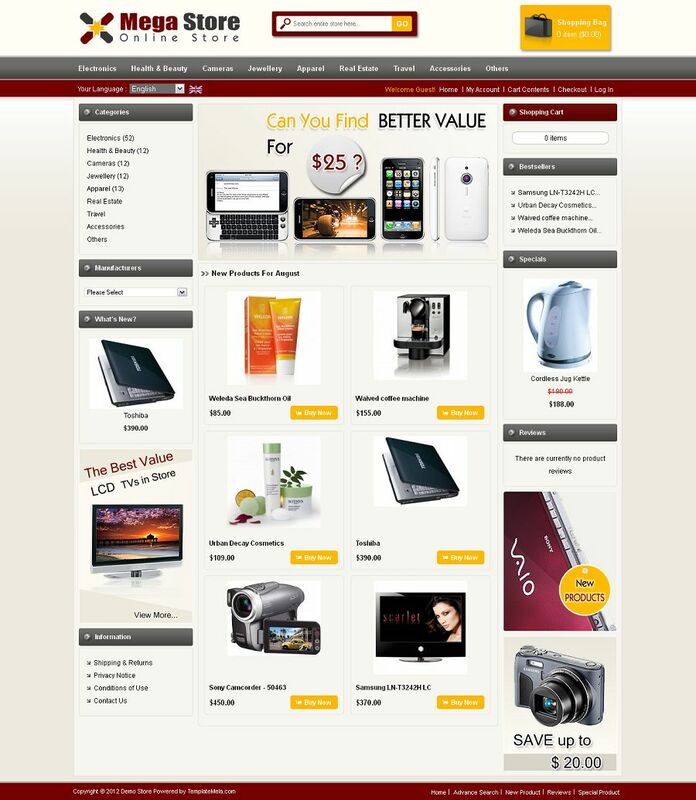 OsCommerce features focus on providing the user with complete control over his online store and data. The software has constantly been growing, reaching a number of 300.000 members and over 20.000 live sites that use it. It also offers more than 8000 free add-ons that can enhance OsCommerce features if you download and install them. 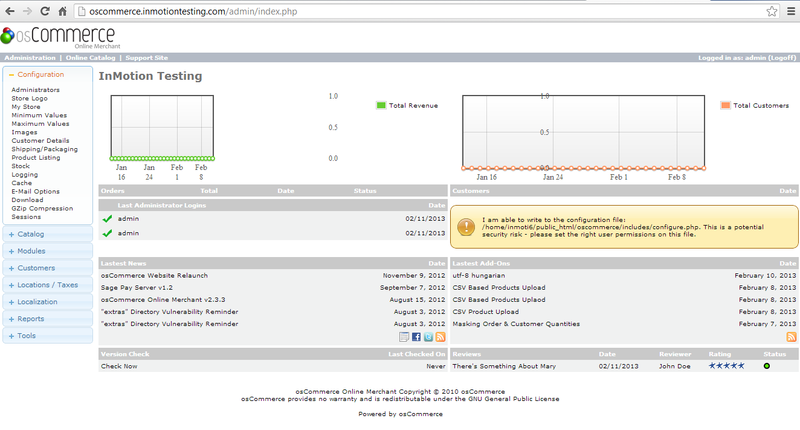 On their official website you can get a more accurate OsCommerce review if you check out the OsCommerce demo. You can login or create an account and see how an admin demo looks like. The online demo will present the OsCommerce features of an online store, including integrated payment options, even though orders will not go through. You can download osCommerce Online Merchant for free using the download link below and set up your own OsCommerce demo. The last stable version released is 2.3.4.1 and became available on September 26, 2016. If you want to install this version you will need PHP 4+ (with version 5+ recommended) and MySQL v3+ (v5+ recommended). The Online Merchant v2.4.0 Joli beta version is also available for testing. In terms of server requirements you will need at least a version of PHP 5.5, even though a 7+ version is recommended and MySQL v5+, with version 7+ recommended. If you want to customize how your osCommerce demo site looks like you can choose from a number of osCommerce themes provided by third party developers at different prices. You can also customize the appearance of your online demo by developing your own OsCommerce theme, if you have the required knowledge. 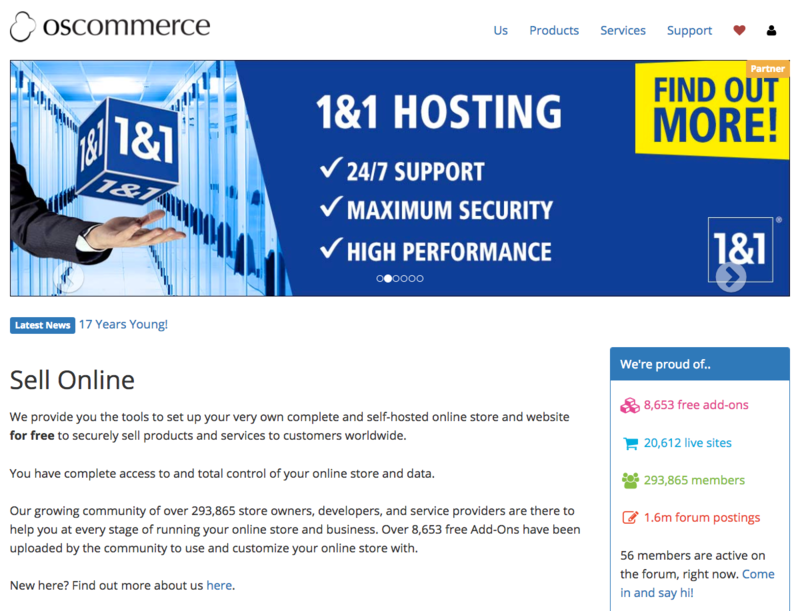 If you’re looking for inspiration, there are a lot of examples that use OsCommerce. The screenshots below will give you a preview of how OsCommerce themes can be customized to fit in with your brand identity. Currently there are two releases of OsCommerce, version 2.3.x (which is stable) and version 3.0, which is currently in development. The two don’t have the same code and are developed as two independent programs. This means that plugins developed for version 2.x will not work on version 3.0, as the two are incompatible with each other. The software is released under the GNU General Public License.